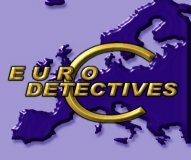 European association of private detectives-investigators legally declared in them respective countries, respecting statutes, regulation, laws and deontology of detective. The new text is long but it is interesting to read. For once, we have the same classification in Europe (80.30 for investigatives activities). The European Classification of Economic Activities (NACE) is the European reference framework for the production and the dissemination of statistics related to economic activities. Rev. 1.1. The main concepts, the history and the methodological guidelines for understanding and applying NACE Rev. 2 in the statistical production process are introduced here. Division. The work has been coordinated by Eurostat. equipment to protect such properties while in transit. The units carrying out these activities may also engage in selling such security systems, mechanical or electronic locking devices, safes and security vaults.